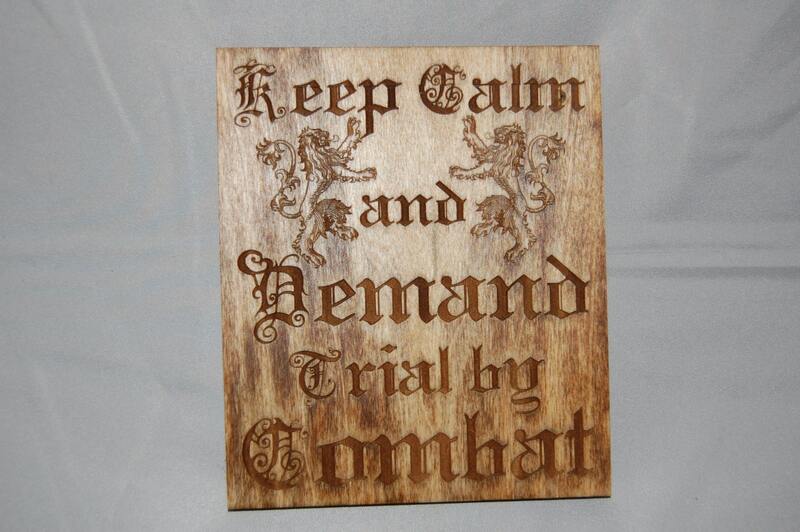 This plaque was inspired by Tyrion Lannister in Game of Thrones. 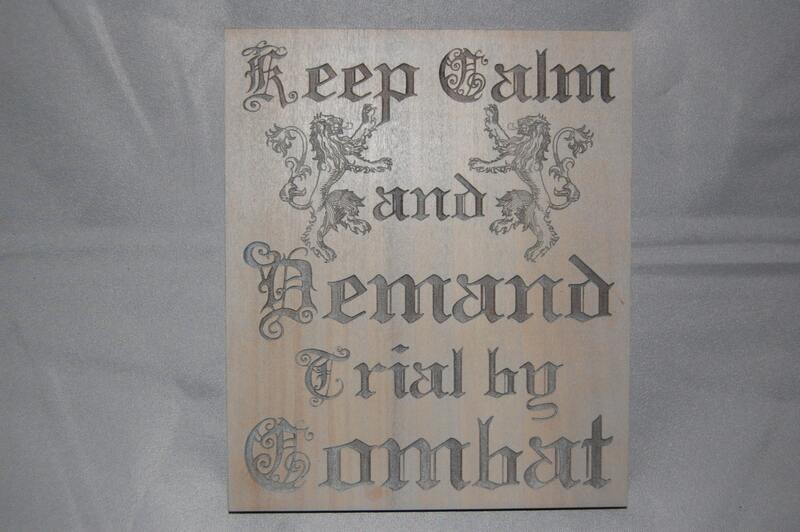 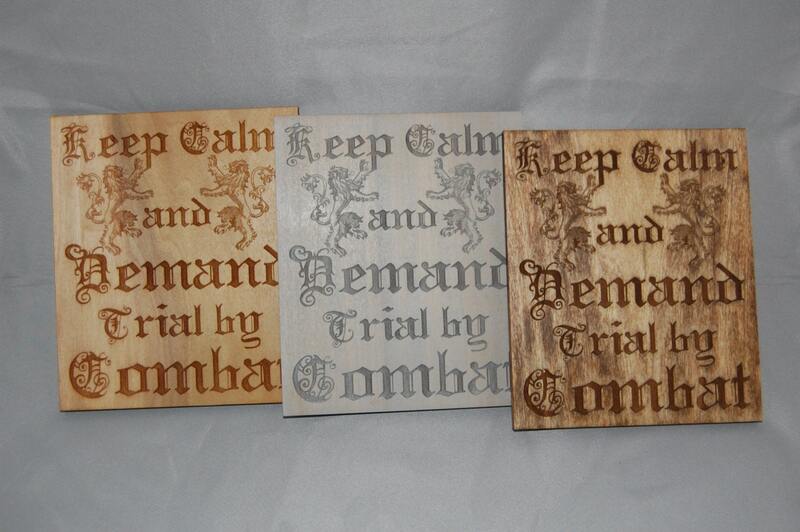 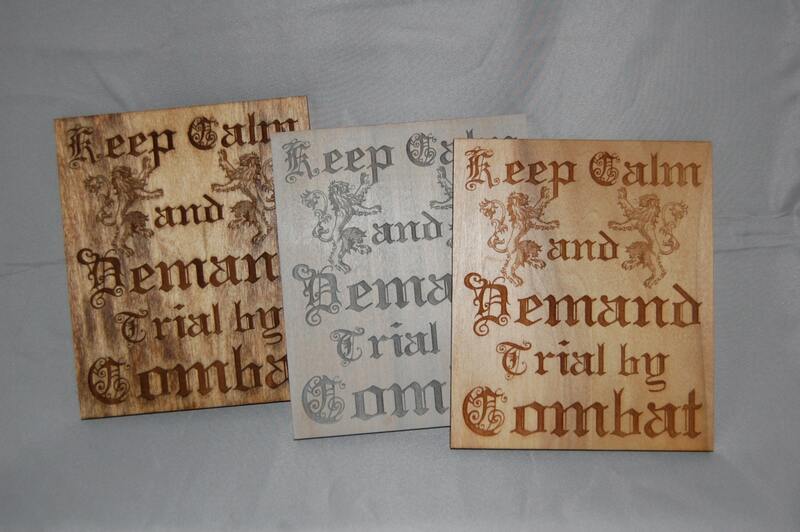 Keep Calm, and Demand Trial by Combat, with the Lannister Lions decorates this 5.5" x 7.75" wall hanging plaque. 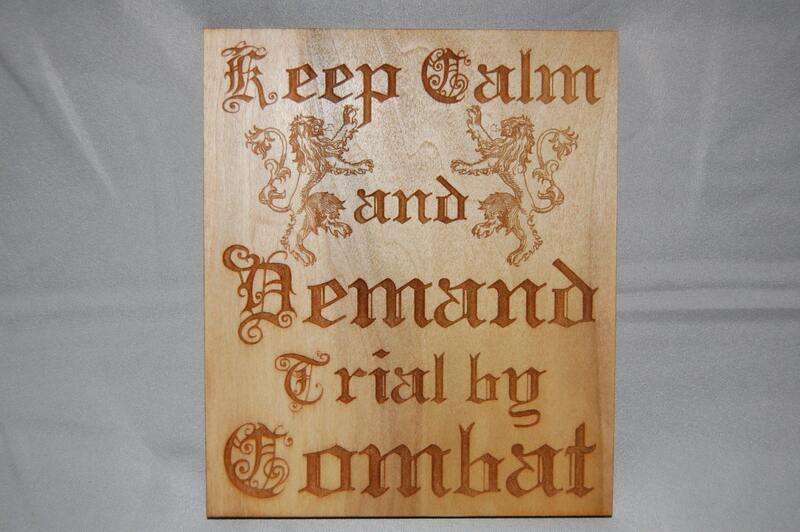 It has a picture frame hanger, so you can proudly display this in your man cave, living room, or office, or court room (I would love to see this hung in some judges chamber).